On 6th March 2008 The Times of London reported that next September Pope Benedict will “rehabilitate Martin Luther, arguing that he did not intend to split Christianity, only to purge the Church of corrupt practices.” Is this just paper talk, or is there some truth to the report? Martin Luther was a renegade priest formally condemned as a heretic by the Catholic Church in January 1521. Let us look at Luther’s history, his character and teachings, and at the harm he precipitated in the Church and throughout the world. But first—do not, Dear Reader, confuse the Catholic Church with any other church, or the Catholic faith with any other religion. They are utterly different. Belief in God is as varied as the religions to which believers adhere. What the Protestant means by “faith”, what the Mormon means, the Jehovah’s Witness, the Muslim, the Jew, the Hindu, the Buddhist, differs in each case. But whatever these meanings they differ fundamentally from what the Catholic Church means by the word. For the tenets of every religion save Catholicism are contrived by men, and the faith of their believers is a human thing. But the tenets of Catholicism were laid down by Almighty God, and the faith of Catholic believers is not something of man but of God, a supernatural virtue which he infuses into their intellects in response to their acceptance of his revelation. If you study the Church’s position you will see the force of the logic behind it, even if you refuse to accept it. The Catholic Church claims to have been founded by God—Jesus Christ, the God-man. It claims that its enlivening spirit is God—the Holy Spirit. It claims that its end is God—union with him in heaven. It says it is infallible (that it cannot err in faith or morals), consistent with the claim to a Divine, rather than human, provenance. The Church manifests, moreover, the signs of something above the human, notably, its temporal endurance far beyond that of any other institution on earth, and this despite suffering from time to time the burden of evil men in its positions of power. Kingdoms come and go; the Catholic Church endures. Tyrants lay it waste; but, like its Founder, the Church rises again. There is another point, one that tends to be lost in the detail. The head of the Catholic Church is not, as all the world seems to think, the Pope. This error suits the mentality Luther precipitated—that the Church is just another human institution and its claims must be weighed as such. When the Catholic Church says that Jesus Christ rose from the dead—quoting St Paul in his Epistle to the Romans, “Christ risen from the dead, is dead no longer: death has now no dominion over him” —it means what it says. The Christ in whom Catholics believe is a living Christ. He, the living Jesus Christ, God become man, is the Head of the Catholic Church. The Pope is his vicar on earth. “It is manifest that he who adheres to the teaching of the Church as to an infallible rule assents to whatever the Church teaches. If, however, of the things taught by the Church, he holds what he chooses to hold and rejects what he chooses to reject, he no longer adheres to the teaching of the Church as to an infallible rule, but to his own will. Martin Luther was born on 10th November 1483 to Hans and Margarethe Luther in Eisleben in what is now Saxony-Anhalt in Germany and baptised the following day, the feast of St Martin of Tours. He was the eldest boy in a family in which there were to be a number of children. He attended school in Eisenach. In 1501 he was sent to the University of Erfurt where, in 1505, he obtained a master’s degree. He was poorly taught, his tutors forming him in the philosophy of the renegade Franciscan, William of Ockham (c1288-1347). Ockham denied the objective existence of the natures of things. Words were but the instruments of human convention: there was no reality to which they corresponded. During a thunderstorm in July the same year Luther narrowly missed being struck by lightning. This precipitated a great terror of death and judgement which moved him to enter the enclosed Augustinian Friars at Erfurt just two weeks later. As well as this tendency to impulsivity, Luther had certain personality problems, notably a morbid sensitivity and restlessness. He had also a theological problem, a perception that it was possible to experience emotionally the effects of his faith. It is impossible, the Church teaches, to experience the fact that one is in the state of grace. It is not material, and ergo not sensible. But Brother Martin must needs feel himself in this state. He was, then, ever on the lookout for sensible consolations in religious life. He threw himself into the ascetic life of the monk, indulging in excessive fasts and vigils. This, a practical Pelagianism, can be a problem for the neophyte religious in any age. According to Pelagius, the believer can get to heaven by his own efforts. Luther was later cynically to remark, “If anyone could have gained heaven as a monk, then I would indeed have been among them.” He was ordained a priest only two years after his entry into religion and directed by his superiors to further studies. He was transferred to Wittenberg in 1508 where he obtained a baccalaureate in biblical studies and another on The Sentences of Peter the Lombard the following year. Late in 1510 his provincial chose him to go to Rome to argue a dispute between the Augustinians of the strict and conventual observances to the superiors of the Order. On his return he was assigned to the Augustinian house in Wittenberg. In 1512 he obtained a Doctorate in Theology and was awarded the Chair of Holy Scripture at the University. He lectured on the Psalms and St Paul’s Epistles to the Romans, the Galatians and the Hebrews to great acclaim. He had an able mind: he was a noted preacher and enjoyed a high reputation in his Order. But already he was forsaking the Church’s interpretations of the sacred texts in favour of his own. A man’s salvation, the Catholic Church teaches, is the result of cooperation between him and God’s grace. Sanctifying Grace builds on nature to lift man (through what is known as obediential potency ) to live a life to which, though utterly beyond man’s native capacity, God raises him. It is a created participation in the life of God himself—the life of Grace. In this doctrine man’s freedom is acknowledged and preserved. For nothing is achieved in him without his free acceptance: yet the thing at which he arrives is not of him, but of God. Luther’s idiosyncratic interpretation provided him with a key which would save, yet solve, Ockham’s proto-Jansenism. From the Pelagian error that one could redeem oneself, Luther had swung to the opposite extreme. Now, he insisted, man could do nothing to get himself to heaven. It was God alone who could achieve this. A small mistake in the beginning, as Aristotle says, becomes a big mistake in the end. Ockham’s ideas had provided a vehicle for Luther to veer away from the truths of the Catholic faith. The consequences were to be profound. In 1514 Albrecht Hohenzollern obtained election as Archbishop of Mainz. There was a cost involved, a payment to the Papacy. To cover this and the repayment of other debts, Albrecht borrowed some 21,000 ducats from the Fuggers, a firm of rich bankers at Augsburg. The new Archbishop guaranteed the bankers in return for one third of the revenues raised on the preaching of the papal indulgence to assist the building of the new Basilica of St Peter’s in Rome . In 1517 he commissioned the Dominicans to preach the indulgence. Faith without good works, as St James says in his Epistle, is useless . Faith must be formed in works of charity such as prayer, fasting, pilgrimages, visits to churches and almsgiving, which can include contributions to the physical welfare of the Church. Among the powers given to the Church by Christ is the power not only to forgive sin but to remit the temporal punishments due after the sin has been forgiven . Since time immemorial the Church had provided these remissions by way of indulgences. Contrary to belief, the Church’s doctrine on the subject was understood as well in Luther’s time as in our own, as Daniel-Rops relates. The Dominican, Johann Tetzel, was in charge of preaching the papal indulgence in 1517. His theology on the issue was somewhat lax. He would persist in offering “passports to cross the sea of wrath and go direct to Paradise” . On October 31, 1517, Luther wrote to the Archbishop protesting against this apparent offering of the Church’s spiritual goods for sale. He enclosed with his letter a copy of his Disputation of Martin Luther on the Power and Efficacy of Indulgences, which has come to be known as The Ninety Five Theses. Some have argued that Luther had no intention of confronting the Church and his disputation was simply scholarly objection to Church practices. Yet there was wilfulness and rebellion in the text, and more than a suggestion of heresy. Luther appeared to deny the efficacy of the sacrament of penance and the Pope’s power to remit the temporal punishment due to sin. He seemed also to promote a theory of grace that made man’s merits worthless. Implicit in it all was a denial of the power Christ had bequeathed to his Church; in other words, a denial that the Church was God’s Church. “Free will in man, after Adam’s fall, is merely a name and therefore no free will at all, at least as regards the choice of good; for it is captive, and the servant of sin; not as though it did not exist, but because it is not free except for what is evil. The critical word in this contention is ‘name’. If, Dear Reader, you have followed the argument you will see how the poison of Ockham’s ideas had become a weapon to attack human reason. In the papal bull Exsurge Domine (15th June 1520), Pope Leo X condemned forty one of the propositions in Luther’s Ninety Five Theses and warned him that he risked excommunication unless within sixty days he recanted the views he had there expressed. Luther responded by publicly burning the bull and a volume of the Church’s body of Canon Law at the gates of Wittenberg on 20th December 1520. In a lecture the following day he declared that this act was purely symbolic: in reality it was the Pope himself who should have been burned! Leo excommunicated him formally on January 3rd 1521 in a further bull, Decet Romanum pontificem, and threatened with interdict any city that afforded him asylum. The Emperor ordered Luther to leave Worms, his safe conduct being secured for twenty four hours. On 25th May 1521 the Diet issued an edict declaring him an outlaw, banning his literature and making it a crime to offer him food or shelter. It was too late, however, to stop the momentum he had set in train, or to prevent the anarchy to come. Already Luther had numbers of supporters among the gentry, notably Frederick III, the Elector of Saxony, and Philip, the Landgrave of Hesse. Frederick secreted him to prevent his arrest. The edict’s terms were ignored. Luther remained in hiding for many months, occupying his time by translating the New Testament into the vernacular and writing more pamphlets. Pope Leo X died in December 1521 to be succeeded by Adrian VI who lived only twenty months. His successor was the irresolute Clement VII, Giulio de Medici, who looked to Italian and dynastic affairs rather than the perils to the faithful of developing heresy and unrest in Germany. The Emperor, Charles V, was preoccupied with war with the King of France. The Turks under Suleiman (‘the Magnificent’) had captured Belgrade. Luther’s ideas gained support not only from intellectuals and the petty nobility, but from many of the minor clergy, among them Augustinians, Benedictines, Dominicans and Franciscans who spread his faulty doctrine abroad. The situation in Wittenberg deteriorated under the influence of Andreas Karlstadt and Gabriel Zwilling. 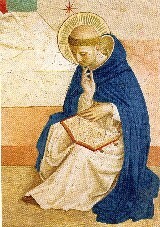 The Augustinian monks in Wittenberg attacked their Prior. Marks typical of the devil’s influence began to appear. Many of the clergy desecrated the Mass. A number abandoned their vows and took wives. Mobs pillaged church buildings, pulled down crucifixes and mutilated the statues of the saints. They intimidated or openly attacked the clergy who sought to maintain Catholic teaching. Other heretics emerged. A new sect led by Franciscan, Thomas Münzer, the Anabaptists, arose in Switzerland. Not the least of their heretical ideas was the denial of the effectiveness of infant baptism. They preached iconoclasm and a social doctrine which anticipated by 350 years the excesses of Marxist ideology. Realising that the revolt he had inspired was leading to anarchy, Luther left his refuge and returned to Wittenberg in March 1522. He had to labour hard there to suppress the Anabaptists’ influence. Ulrich Zwingli, Pastor of the Grossmünster in Zürich, publicly broke the Church’s rule of abstinence from meat during Lent 1522. He fulminated against the taking of religious vows and advocated a married clergy. He denied that scripture revealed any but two sacraments, baptism and the Lord’s Supper, and even these he treated as symbolic rather than effectual. He denied the Real Presence in the Blessed Eucharist. Like Luther he denied free will: unlike him, he treated God as the author not only of good but of evil ; and, since evil was part of the divine plan, indulging in evil was not a sin; nor should one strive against it. (In this he reached the same end as Luther, but by a different route!) He stripped the churches of their altars, their crucifixes, statues and stained glass. He set up a State Church whose leaders were the Canton’s prosperous citizens controlled by the Council, a democratically elected body. Remarkably, given his views about transubstantiation, the point de departure between Luther and the rest of this crew was his insistence on the Real Presence of Christ in the Blessed Eucharist. In 1529 came his treatise in response, Servile Will, much of which was aimed, not at the arguments of the humanist, but at his person. Erasmus responded in kind and Luther added him to his list of enemies. Zwingli died in a battle between the Catholic and non-Catholic Swiss Cantons over a food blockade in October 1531, and Oecolampadius died shortly after. Luther had cursed both of them in life and repeated the dose after their respective deaths. Philip Melancthon was Luther’s amanuensis and the only voice of reason on Luther’s side in his many contests. But even Melancthon came to distance himself from the extremity of Luther’s positions. As he approached the end of his life Luther’s concern that Melancthon might attempt a rapprochement with Rome moved him to set about a last work of polemic, Against the Papacy founded in Rome by the Devil. He was not to complete it. He had suffered general ill health for years and latterly from heart problems. Death came early in the morning of 18th February 1546. He was 62. Maritain adds these comments in an extensive footnote demonstrating Luther’s facility in blending blasphemy and lasciviousness. Luther developed a sort of heroic egocentrism where irrationality was matched with arrogance. There is something else in Luther’s history. The astute observer will note, even in the limited offering of quotes in this short paper, the utterance of expressions which seem to emanate not from the man, Martin Luther, but from the devil. A good argument can be mounted that from time to time he demonstrated evidence of demonic possession. Finally, let us read Daniel-Rops’ analysis of the man’s character. + the loss of understanding of man. God is, after Luther, no longer understood as what He is, the one necessary existent, the only BEING—the being who cannot-not-be; without whom the world cannot exist; on whom we are utterly dependent; He who created man for Himself to be happy with Him forever in heaven; the Alpha and the Omega; the beginning of my existence, and its end; the One who is closer to me than I am to myself. God is reduced to a means to an end, the one who saves Luther from perdition. Man is no longer a being who exists contingently—a creature, in whom <what he is> is really distinct from <that he is>—albeit of all creatures the most noble, created by God in His own image and likeness , for whom God created the universe in its immensity. Man is no longer that most subtle blend of spirit and matter; an animal but with an immortal soul; one who, though his body corrupts and dies, will live forever. Man is just another instance of the blind working-out of a purposeless material continuum; just another animal whose being and reality ends with his far too early death. Prior to Luther man acknowledged reality as the incontrovertible standard, the paradigm against which behaviour was to be measured. He accepted reality as God’s surrogate, the majesty of the created universe standing for that immense unseen and unseeable thing, the Majesty of God. Whatever a man’s sins, he accepted they involved a rejection of that standard. He knew if he continued he was committed irrevocably to perdition and that there was only one way to avoid that—return to the standard; conversion. After Luther the standard was removed. This systematic denial of reality in the moral and social orders is also the key to understanding the all-pervasive atheism of our western society. If there is no standard to which I must conform myself in making moral decisions other than my own opinion; if reality is what I say it is, not some standard to which I must conform myself; there is no need for me to acknowledge responsibility for either my actions or my existence. God becomes superfluous! Hence, Lutheranism—Protestantism—is inchoate atheism. In 1958, that is, before the upheavals in the Catholic Church precipitated by the Second Vatican Council, Daniel-Rops provided this summary of the effects of Luther’s doctrine on the Catholic Church of Luther’s time. “In such a perspective there could no longer be room for all those intercessors between God and man… All those consoling and profoundly human features of the Catholic cult of the saints no longer have any meaning at all… one must not invoke them or implore their aid… Luther undoubtedly venerated [the Blessed Virgin Mary] but he refused to admit that in accepting the angel’s proposal that she should become the Mother of the Saviour, Mary had in some way worked in intimate cooperation with the grace of God, and that this made her… the recipient of particular privileges, and able to intercede before her Son on behalf of every sinner. “Since faith alone justifies, the sacraments cannot be the means, the vehicles of grace… Luther retained only those three sacraments whose origins he considered directly ascribable to the scriptures [Baptism, Penance and the Eucharist]… Penance [was]… however reduced to an act of appeal to God… The enumeration of sins is unnecessary since all human actions are tainted with sin; contrition does not depend on the man; and any attempt at satisfaction constitutes only a kind of insult to the merits of Christ… Moreover, any Christian can give absolution… Finally the Eucharist… too, was fundamentally distorted from its Catholic sense… [T]here is no real Sacrifice of the Mass any more than there is any transubstantiation. Christ… is certainly present in the Host with the bread and the wine but the bread does not change into His Body… As for the other sacraments, they were either abandoned or robbed of their genuinely religious value: marriage, for instance, ceased to have any sacramental meaning, a theory which implied the authorisation of divorce. “All this doctrine obeyed a strict inner logic once its basic principle was accepted… The hierarchical principle of the Catholic Church was rejected in favour of direct relationship with God… [yet the] clergy should be… officially called. But the pastors or ministers were to be elected by the community. “At the end of it all what remained of the traditional cult? … Vows were swept away because they impinged on the total liberty of the spiritual impulse towards God… As for the Mass, it was retained but reduced to two elements: the teaching of the Word and the celebration of the Lord’s Supper; its mysterious sacrificial character vanished. Naturally there was no longer any question of all those forms of devotion so dear to Catholic piety: penitential exercises, pilgrimages, veneration of relics and the like. calls for a return to a ‘primitive Christianity’. He will see them for what they are, the renewal of the claims of Protestantism over God’s Holy Church, the repetition of Luther’s pernicious doctrines. A Catholic can only be bemused by the avidity with which the adherents of Protestant sects embrace the body of beliefs served up for them by founders who lived revolting personal lives. Who, once he realised the excesses of Henry Tudor (King Henry VIII) would continue in conscience to belong to the Church of England? Who would want, once he understood what a foul mouthed guttersnipe was its founder, to adhere to the Lutheran Church? The reader will object that there have been Catholics, indeed Cardinals and even Popes, who have lived appalling lives. Indeed there have. But these did so in flat contradiction of the teachings of the Church in which they held office. They were an open scandal, and known to be so. Here is the reality: the founder of the Church of England was a man, Henry VIII, and he is dead—and so is his Church. The founder of the Lutheran Church was also a man, Martin Luther: he also is dead, and his Church, too, is dead. The founder of the Catholic Church was Jesus Christ, the God-Man, who is alive—for death has no more dominion over him—and His Church is alive, and will endure until the end of timefor the gates of Hell shall not prevail against it. ‘Saki’ (H H Munro), For the duration of the war in The Short Stories of Saki, London (The Bodley Head), 1930, p. 605. He may have been moved, too, by the recent deaths of two friends. Pelagius (c354-c420) denied the doctrine of Original Sin. Cf. H. Daniel-Rops, The Protestant Reformation, J M Dent & Sons, London, 1961 (a translation by Audrey Butler from the French of the author’s Une Révolution Religeuse: La Réforme Protestante, 1958), p. 287. One of the analogies given by theologians for this action is that of marble. This crystalline form of calcium carbonate is able to be split and ground by the action of external natural agents under the influence of the gravitational movement of the earth, for example, by glacial ice. An artist like Michelangelo or Bernini is able to use this natural potency to raise the rock to another, and immensely superior, level to produce (in likeness) a David or a Saint Teresa. H. Daniel-Rops, op. cit., p. 286. The ‘in eo’ here, is a reference to ‘evangelium’, ‘the Gospel’, in the previous verse. Quoted in H. Daniel-Rops, op. cit. at p. 288, but not sourced. Maritain takes the opposite view, that all Luther did was to modify his Pelagianism. He writes of Luther’s doctrine: “[I]t is ourselves, and we alone, who catch at Christ’s cloak to ‘cover all our shame with it’, and use that ‘skill to leap from our sin on to Christ’s justice and hence to be certain of possessing Christ’s piety as we are of having our own bodies’. The Pelagianism of despair! In fine, it is for man himself to work his own redemption by driving himself to a desperate trust in Christ.” Jacques Maritain, ‘Luther’, Three Reformers, Charles Scribner, 1950; my copy a reprint by Greenwood Press, Connecticut, 1970 (n.b. no translator from the original French is specified), p. 18. This and the preceding quote in Jacques Maritain, ‘Luther’, Three Reformers, op. cit., p. 179. Initiated by Pope Julius II in 1506. Council of Trent, Decree on Indulgences, DS 1835. Christ’s promise to St Peter, “I will give you the keys of the kingdom of heaven, and whatever you bind on earth etc… and whatever you loose on earth etc…” (Matthew 18: 18) includes the power to loose all spiritual bonds. Cf. Sheehan’s, Apologetics and Catholic Doctrine, Revised Edition by Fr P. M. Joseph, Saint Austin Press, London, 2001, pp. 558 et seq. The reader may regard it as significant that this challenge to Christ and His Church should have occurred on Hallow’een, a sort of anti-feast day the devil encourages his acolytes to observe. Grisar, Luther, I, 318, quoted in Warren H. Carroll, The Cleaving Of Christendom, Front Royal, 2000, p. 6 (Vol. 4 of the author’s A History Of Christendom). Cf. H. Daniel-Rops, op. cit., p. 303. The Anabaptists were to flourish again between 1531 and 1535 in the German town of Münster where their conduct was to anticipate that of Brigham Young and the Mormons in the United States of America three centuries later. The permission to indulge in excessive activity which led to his Ninety Five Theses could not, of course, have occurred without the tacit cooperation of his superiors in the Augustinian Convent at Wittenberg. Something similar occurred with Thomas Merton and his superiors in the Cistercian order in the 1940s. Merton followed much the same course of dissolution Luther had walked 400 years prior. Quoting Denifle, Luther et le luthéranisme, op. cit., I, 40; and other sources. I have not included the list Maritain is diligent in citing for each of Luther’s utterances. June 1522, Erlangen Edition Sämtliche Werke (1826-1857), vol. 28, 144. These two evils worked together: man’s loss of understanding of God affected his grasp of reality; his loss of grasp of reality confirming the change in his understanding of what God is. “Luther… places both the Bible and its meaning in the hands of the individual believer, rejects any mediating role for the Church, entrusts everything to the individual’s private lights and replaces the authority of an institution by an immediacy of feeling which prevails over all else… The liveliness of an individual’s impressions is called ‘faith’ and declared to be an immediate gift of grace. The supremacy of this individual conscience removes the foundation of all the articles of faith, because they stand or fall according to whether the individual conscience assents to, or dissents from them… [I]t is no longer the divine authority of the Church which guarantees them, but subjective individual impressions… It is not the thing which demands assent, but assent which gives value to the thing. If then, by an internal logic, this criticism of divine authority as a theological principle becomes a criticism of the authority of reason as a philosophical principle, that is no more than might have been expected…” Romano Amerio, Iota Unum, [translated from 2nd Italian edition by Fr John P. Parsons], Sarto House, Kansas City, 1996, p.p 23-25.